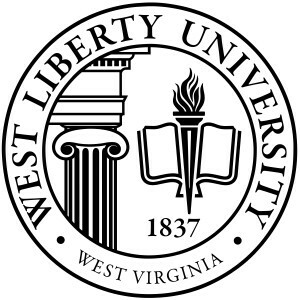 For many years the West Virginia legislature provided nearly 100% of the funds necessary to operate West Liberty University. However, many years ago, that percentage figure began to decrease each year. Recognizing this trend, the administration of the University established a body that would seek supportive funding from sources other than the state legislature. This was the West Liberty State College Foundation; now the West Liberty University Foundation, Inc. The West Liberty University Foundation is governed by a volunteer Board of Directors and is operated, on a day-to- day basis, by an Executive Director, with offices on West Liberty University campus and a newly established location in downtown Wheeling. In fulfilling this mission, the West Liberty University Foundation invests the proceeds from cash donations, stock donations, bequests, charitable gift annuities, and other planned giving vehicles. The Foundation then returns the earnings to the University for a variety of purposes: student scholarships, program enhancements, faculty development, capital projects, and other needs as identified by the president of the University. In this fashion, the West Liberty University Foundation provides funds for basic operating needs and enhancements that would otherwise not be possible for the University to garner. The WLU Foundation’s core competencies include management, accounting, investment, stewardship, and fundraising of endowed and non-endowed assets. Currently, the Foundation oversees close to over $18 million in total assets. Since July 1, 2016, the Foundation is taking a more active role in growing assets through fundraising efforts and collaboratively works with the University to oversee a comprehensive development plan. The WLU Foundation is a non-profit 501(c)3 organization and contributions are tax-deductible to the extent allowed by law. If you wish to make a contribution, mail a check to the WLU Foundation at 208 University Dr., Campus Union Box 126 West Liberty, WV 26074 or donate online by clicking the link below. Please call 304-336-5635 if you would like to learn more. Designed by Chiselbox in Wheeling, WV.